Dr. Hamling is the founder and clinic director at Accelerated Chiropractic & Natural Healing Center, LLC. He attended the University of Minnesota – Morris for 3 years and earned his BS degree at South Dakota State University. He then went on to Northwestern Health Sciences University where he earned his Doctorate of Chiropractic. Dr. Hamling was very active in various technique clubs such as the Sports Council, and also the Graston Technique club which he founded at NWHSU. With his athletic background and being an EMT as well, Dr. Hamling loves to help athletes of all types overcome sport’s injuries and improve their performance. As president of the Sports Council and Graston Club, his club was chosen to participate in the injury care at the Sunshine State Games in Miami-Dade, Florida in 2006. While living in the Twin Cities, he also participated in the injury care of athletes at numerous athletic events all around the Twin Cities metro, including being the head of medical staff at the UPA National Cheerleading and Dance Competition held each year in Minneapolis. Upon returning to Morris, Dr. Hamling was approached by the Stevens County Ambulance Service to teach various topics on Spinal and Neurological injury care for their EMT-Basic courses held for the UMM students and the public. 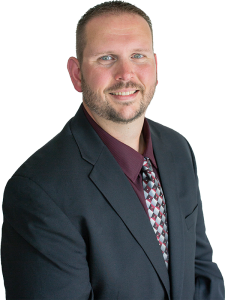 Dr. Hamling’s expertise in the field of spinal injuries and the care of such injuries in the pre-hospital setting, makes his expertise an indispensable asset to both SCAS and those patients in Morris and the surrounding areas. Dr. Hamling enjoys teaching patients on various aspects of health. It is his philosophy that the patient who is properly educated on their condition, is the patient that gets better faster and stays better longer. Dr. Hamling is a member of the Morris Area Chamber of Commerce, Assumption Catholic Church, and Stevens County Ambulance. He and his wife, Melissa, and daughters, Braelyn, Adalyn, and Evelyn reside in Morris. He is also an avid outdoorsman, including hunting, fishing, and golfing and enjoys sharing these activities with his kids.